This was a good year of books for me. I had a plan (sort of a goal) at the beginning of the year and I am very happy to say that it did work for me. It consisted of reading more fiction, reading several books on the same topic, and reading about the authors of the books I liked (or disliked as it was the case of Anne Lamott's books) to have a clear understanding of their worldview. I will stick to this same plan this coming year. 1. The Way of the Righteous in the Muck of Life: Psalms 1-12 by Dale Ralph Davis. This little book (only 144 pages) was a great blessing, it is encouraging as well as convicting. I read it over 12 weeks (one chapter every Lord's Day). 2. 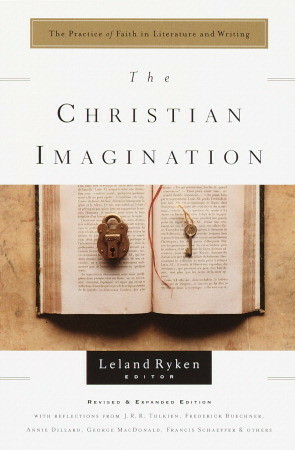 The Christian Imagination: The Practice of Faith in Literature and Writing, edited by Leland Ryken. If you love reading and writing, this is a book that will become one of your favorites, too. You don't have to agree with every essay in this wonderful book but I assure you, in every page you will find good food for the thought. I will not put this book away on a distant shelf, I want it always at hand. 3. Praying Backwards by Bryan Chapel. Definitely my favorite book on prayer this year. It is always good to be encouraged to live a life of prayer, and this book does that. I am grateful for it. 4. The Feminist Mistake: The Radical Impact of Feminism on Church and Culture by Mary A. Kassian. This is an important book to read in this age in which Feminism is being more and more accepted in the Church. 5. Saving Leonardo: A Call to Resist the Secular Assault on Mind, Morals and Meaning by Nancy Pearcey. This is such a wonderful book! Next time I read it (because, yes, this is the kind of book that deserves to be read -and studied- more than once), I will start with the last chapter. Tim Challies has a good review of it here. 6. Total Truth: Liberating Christianity from its Cultural Captivity by Nancy Pearcey. After reading Saving Leonardo, I had to read this book by the same author (actually she wrote this book first). I cannot recommend you these books enough. This book (and Saving Leonardo) are a must read for Christian parents that want to teach their children to think and discern the worldviews around us. 7. 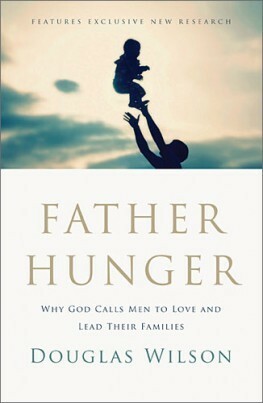 Father Hunger: Why God Calls Men to Love and Lead their Families by Douglas Wilson. "Excellent book. I would really like to encourage my female friends to read it. This book is not only about "how to be a father" (which of course, is important). It goes deeper, it deals with many important topics that are threating the Christian biblical family such as egalitarianism and feminism." 8. 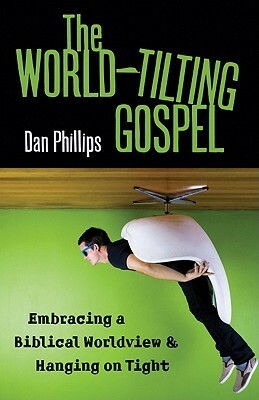 The World- Tilting Gospel: Embracing a Biblical Worldview and Hanging on Tight by Dan Phillips. I love everything about this book. You will want to read it more than once and give it away to your friends. It would be great to read it around aloud with the family. Douglas Wilson has a good and in depth review here. 9. 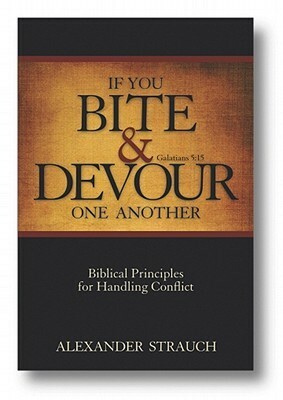 If You Bite and Devour One Another: Galatians 5:15: Biblical Principles for Handling Conflict by Alexander Strauch. I wrote this piece inspired by it. 10 & 11. Everything that Rises Must Converge, and Mystery and Manners: Occasional Prose, both by Flannery O'Connor. My favorite combination this year. 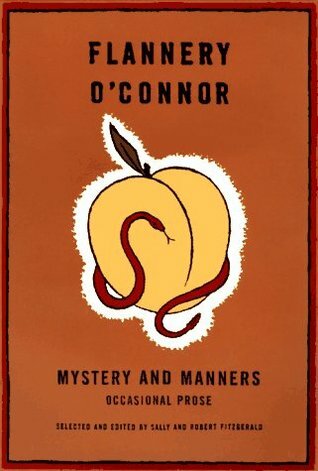 I first read O'Connor's short stories and I felt the need to understand more of her worldview, her view of Redemption, so I read the collection of essays Mystery and Manners. After reading both, O'Connor became one of my favorite authors. 12. I can't choose only one of these books as my last favorite for this list. 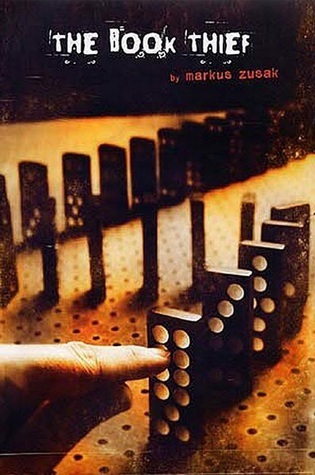 The Book Thief by Markus Suzak, Of Mice and Men by Steinbeck, and Gilead by Marilynne Robinson (audio version) were fantastic, engaging, and each one left me with lots to think about. The rest of my favorite books can be found on Goodreads. My friend Persis at Tried with Fire, published today her six favorite books of 2012. It is definitely a list worth looking at. Tony Reinke's list of favorite books is also very good. I am already adding some of his suggestions to my list of books to read in 2013. What are some of your favorite books of 2012? Any good suggestions? May our reading bring glory to God.